Preheat your oven to 350ºF and grease 4 mini loaf tins or line them with parchment paper. In a large bowl, whisk together the flour, cornmeal, salt, baking powder, and baking soda. In a mixing bowl, blend the sugar and oil (I use a hand mixer on low). Add the eggs and blend to combine. Add the vinegar to a measuring cup. Add enough dairy-free milk beverage to equal 1 cup total. Pour the milk-vinegar mixture into your mixing bowl, and stir to combine. Add the flour mixture to the mixing bowl, and blend briefly to smooth the batter just enough. Do not overmix it. 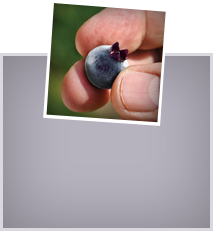 Gently stir in the wild blueberries. Divide the batter between your 4 prepared tins, and even out a bit if needed. Bake for 30 to 40 minutes, or until a toothpick inserted in the center of a loaf comes out clean. Let cool in the pan for 10 minutes. Carefully remove to a wire rack to cool completely before slicing. 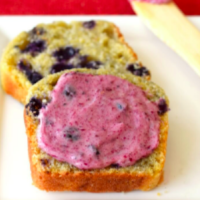 Serve topped with wild blueberry buttery spread, if desired. Full-size loaf: This batter will fit in one 9×5-inch loaf pan, if preferred. Bake at the same temperature, but for about 1 hour, or until a toothpick inserted in the center of the loaf comes out clean. Oil note: If using coconut oil, make sure your eggs and milk beverage are at room temperature to avoid solidifying the oil. If preferred, you can use melted buttery spread. 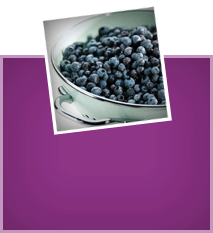 Wild blueberry buttery spread: Place ½ cup dairy-free buttery spread in a bowl and whisk or blend until smooth. Stir in ¼ cup wild blueberry jam (I use Stonewall Kitchen). It will be like a thin spread, and can be used immediately or chill in the refrigerator for several hours to set up.